The slim, sleek HP Mini 1000 remains, in some ways, the pinnacle of Netbook development, with its whisper-thin design and large edge-to-edge keyboard. Verizon is now offering a 3G-enabled version of this system, called the Mini 1151NR, as part of a package that will seem familiar to mobile phone buyers; the laptop's price is subsidized, at $199, as long as you agree to a two-year contract for data services from Verizon, which currently run between $39 and $59 per month. The HP Mini 1151NR's marriage of 3G with a Netbook feels like an obvious mashup of two useful technologies, but the overall package ends up being somewhat expensive. What kind of value is the 1151NR? You can buy it sans mobile data subscription for $519, more expensive than many netbooks with better specs and higher performance. And netbook amenities are bound to improve in the next two years, especially memory, while you're stuck with the already compromised 1151NR. To add insult to possible injury, the 1151NR only comes with a one-year warranty. But the 1151NR's dual CDMA/GMS radio makes it incomparable to any netbook on the market right now for frequent international travelers who need unfettered Internet access. This affordable and compact mobile broadband-enabled netbook offers good connectivity but short endurance. While not exactly a steal, the $199 HP Mini 1151NR offers pretty good bang for your buck. The keyboard is top-notch, and we appreciate its ability to connect to the Web without having to rely on an external broadband card. On the other hand, we would like this subsidized netbook a lot more if Verizon Wireless and HP included a six-cell battery that lasted longer on a charge. We also wish the Mini 1151NR ran cooler and came with a bigger hard drive. 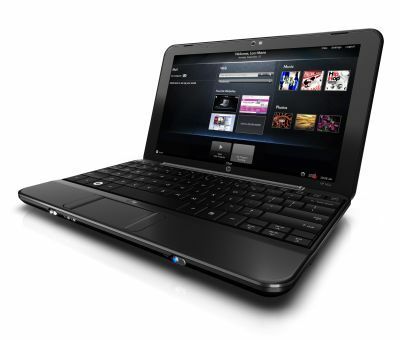 If you can afford the monthly data fees, this netbook is worth a look. N270: Stromsparende und billige CPU mit schwacher Leistung und geringem Stromverbrauch. Durch die in-order Ausführung der Befehle langsamer als gleichgetaktete Pentium M / Core Solo / Celeron M.» Weitere Infos gibt es in unserem Prozessorvergleich Vergleich mobiler Prozessoren und der Prozessoren Benchmarkliste .